Βαθμολογήθηκε από επισκέπτες, μετά από τη διαμονή τους στο Hotel Berghof. Εξασφαλίστε μια εκπληκτική τιμή στο Hotel Berghof - με βαθμολογία 9,5 από πρόσφατους επισκέπτες. Everything was just perfect! The hotel was very clean and comfortable. A beautiful location!!! People were very friendly and helpful. The food was delicious and beyond expectations! I would highly recommend this hotel to everyone! A great stay in a nice house. Very friendly and dedicated team. Breakfast and dinner excellent. I like it all ! Friendly staff. Very nice rooms, modern and yet traditional design. Very stylish decoration. Excellent breakfast. Awesome everything - delicious food, 5 saunas, extreamly helpful staff, perfect location and everything else! I could write about the breath taking view you can experience standing near the hotel entrance. 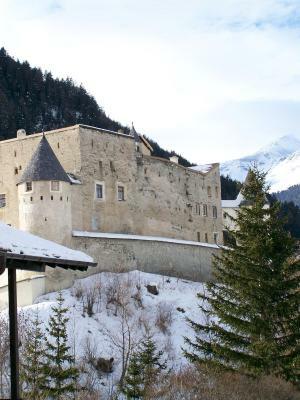 I could write about the location near the castle, shop and on the way to the ski station, but still not far away from the town centre. I could write about a very useful ski bus that takes you directly from the hotel to the ski station and back. 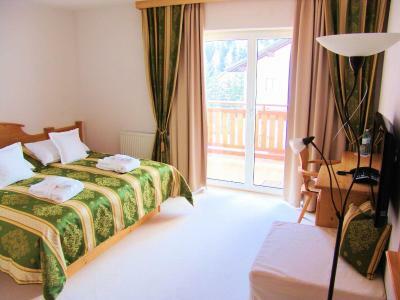 Not mentioning very nice and cosy hotel rooms, spa, ski room as well as delicious food, the variety of which allows the hotel easily meet the expectations of all guests (hot breakfasts, hot soup in the afternoon when you come back from skiing, the selection of five dishes for diner). But what really makes me want to come back there is the staff – always smiling, incredibly helpful, great and nice people who really makes this place unforgettable. Everything! It was exactly what we were looking for to have a Hallmark Christmas! They even arranged for us to have a horse drawn sleigh ride. It was absolutely perfect. The Food was extremely good. We had half board which is the best way to go. Every day the table was set for us. After dinner, when we returned to our room our bed was turned down ready for us to crawl in. 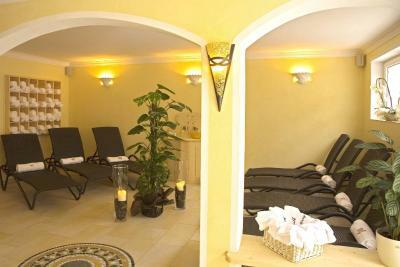 The spa/wellness room had 3 saunas, a steam room, solar cabinet and plenty of chairs to just relax in. I love this place! Stunning location. Friendly welcome. Excellent food and breakfast. Lovely room with balcony. 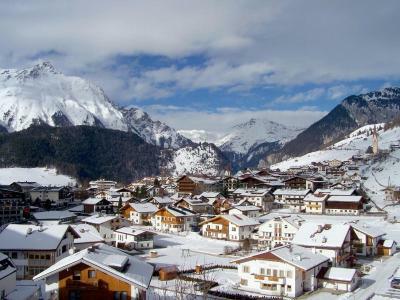 Κορυφαία επιλογή σε Nauders.Located next to Naudersberg Castle, Hotel Berghof offers private transfers to the Bergkastel cable car, ski-to-door access, and free Wi-Fi. 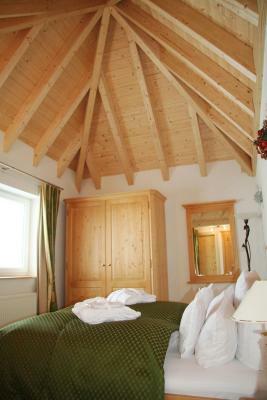 Each of the spacious rooms has a balcony overlooking the mountains. Hotel Berghof’s bright and elegant rooms feature traditional wooden furniture, a flat-screen satellite TV, a minibar, and a seating area. The bathrooms include bathrobes, slippers, and a hairdryer. 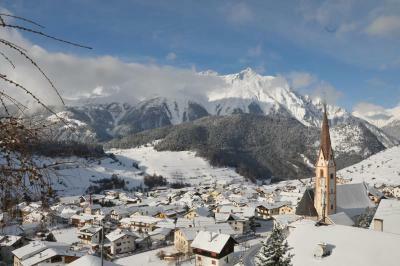 The restaurant serves Tyrolean specialities and international cuisine. It features a bar and a sun terrace. 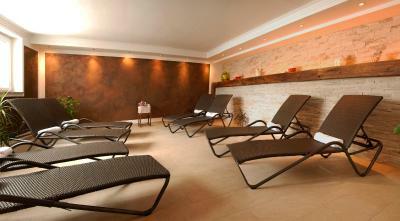 The spa area at the Berghof Hotel include various saunas with different temperatures, an infrared sauna and a steam bath. 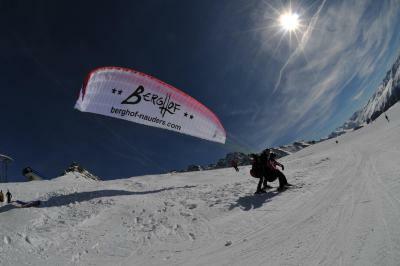 Ski equipment can be hired on site, and ski passes are available at the reception. Free private parking is provided at Hotel Berghof, which is just a 5-minute walk from the centre of Nauders. The Reschensee Lake in Italy is just a 10-minute drive away, and the town of Landeck can be reached in 45 minutes. Αυτό είναι το αγαπημένο μέρος των επισκεπτών μας στον προορισμό Nauders σύμφωνα με ανεξάρτητα σχόλια. Αυτό το κατάλυμα έχει αξιολογηθεί ως αυτό με την καλύτερη σχέση ποιότητας τιμής σε Nauders! Εδώ τα χρήματα των επισκεπτών έχουν μεγαλύτερη αξία σε σχέση με άλλα καταλύματα στην πόλη. Το Hotel Berghof υποδέχεται επισκέπτες της Booking.com από 1 Απρ 2011. Rooms with a balcony or terrace, a flat-screen satellite TV, and a minibar. The bathrooms include bathrobes, slippers, and a hairdryer. Free WiFi is available. This spacious room has a balcony or terrace, a bedroom with a living area and sofa bed, and a bathroom with a shower, toilet, hairdryer, bathrobe and cosmetic products. It also has a flat-screen TV, minibar, safe and Wi-Fi. Please note that the room rate is based on 2 guests. Maximum occupancy is 4 guests (see Children and extra beds policy). This apartment in the annex features a seating area and a kitchenette. Laundry services are available on request. Διαβάστε πριν κάνετε κράτηση Το Hotel Berghof δέχεται ειδικά αιτήματα - προσθέστε τα στο επόμενο βήμα! Bankcard Αυτές είναι οι κάρτες που δέχεται το Hotel Berghof και διατηρεί το δικαίωμα να δεσμεύσει προσωρινά ένα ποσό πριν την άφιξή σας. Αυτές είναι οι κάρτες που δέχεται το Hotel Berghof και διατηρεί το δικαίωμα να δεσμεύσει προσωρινά ένα ποσό πριν την άφιξή σας. Αεροδρόμιο του Ίνσμπρουκ (INN) 76,4 χλμ. Αεροδρόμιο St. Gallen-Altenrhein (ACH) 98,4 χλμ.